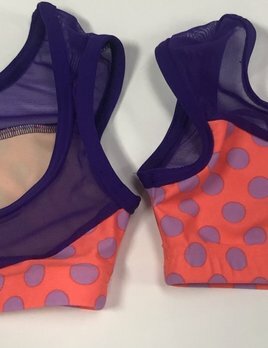 This sassy bra top by BP Designs has blue polka dots and mesh accents that will ensure that your little dancer will stand out! Pair this top with the matching blue polka dot briefs. This top is limited edition so get yours today before it is gone! 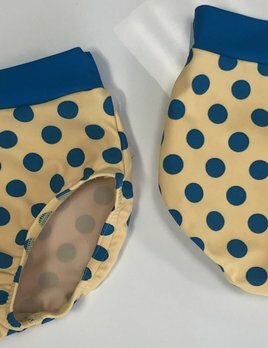 This sassy bra top by BP Designs has blue polka dots and mesh accents that will ensure that your little dancer will stand out! Pair this top with the matching blue polka dot briefs. This top is limited edition so get yours today before it is gone! 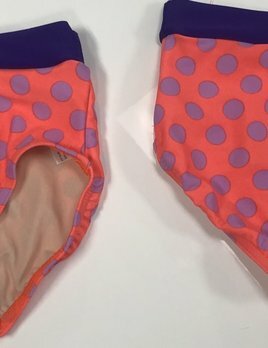 These briefs by BP Designs are super cute and so sassy! Pair these briefs with the matching BP Designs Bra Top for a perfect outfit. These are limited edition and will only be around for a short time, so get yours today!